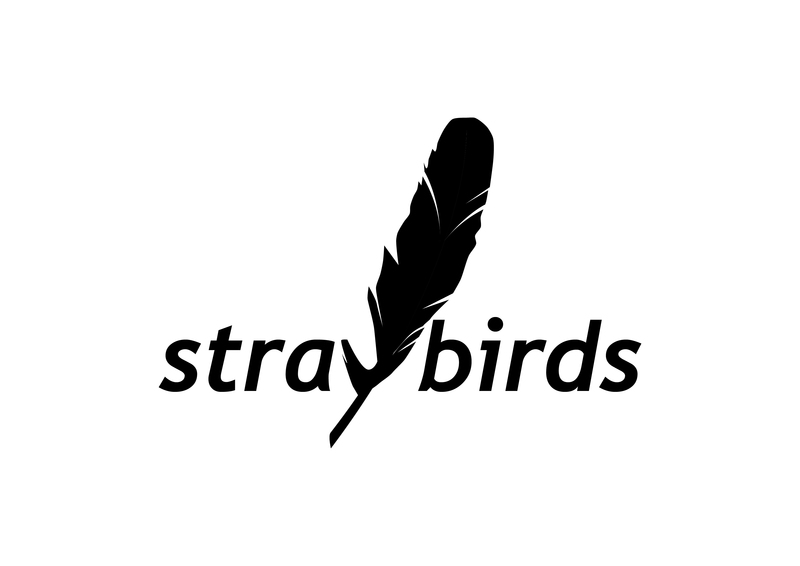 Straybirds will be showing cancer that hell hath no fury like a woman in pink. We’ve registered a team for the Harrogate Pretty Muddy 5K in July! Not too late to book your place to get down and dirty with us, or to show your support for Cancer Research UK. 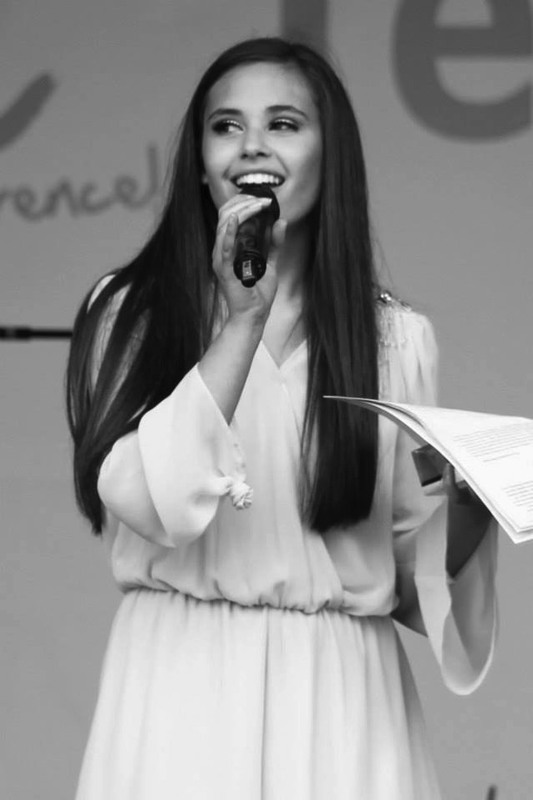 Earlier this year, we supported Bethany’s Smile with the proceeds from our Spring Sing concert and we are proud to announce that we are holding an auction at our annual Christmas ‘Sparkle Party’, in order to support Bethany’s Smile again! We were drawn to the charity because of a very inspiring young lady, Bethany Hare, who is tirelessly fundraising to to raise a minimum of £300,000 to build Smile Cottage – a holiday/respite home, in Yorkshire, where families can go and spend quality time plus build happy memories, when they are faced with the news that their child has a very short life expectancy. Bethany’s Smile also supports families of poorly children in other ways such as providing computer equipment for children to use if they are in hospital long term and unable to go to school, desks for their bedrooms, insurance for ‘final’ holidays and they also look to fulfil other requests for help for children which are made through hospitals, hospices and social workers. Each Straybird will be donating a prize to the auction, which has raised over £1000 in previous years. Watch this space to see how much we raised! Update! We raised £1575 at our auction with over 20 prizes pledged and auctioned off. We had everything from a pair of hand knit mittens to family meals to a specially recorded version of a favourite song. On top of that we had a fabulously sparkly night. 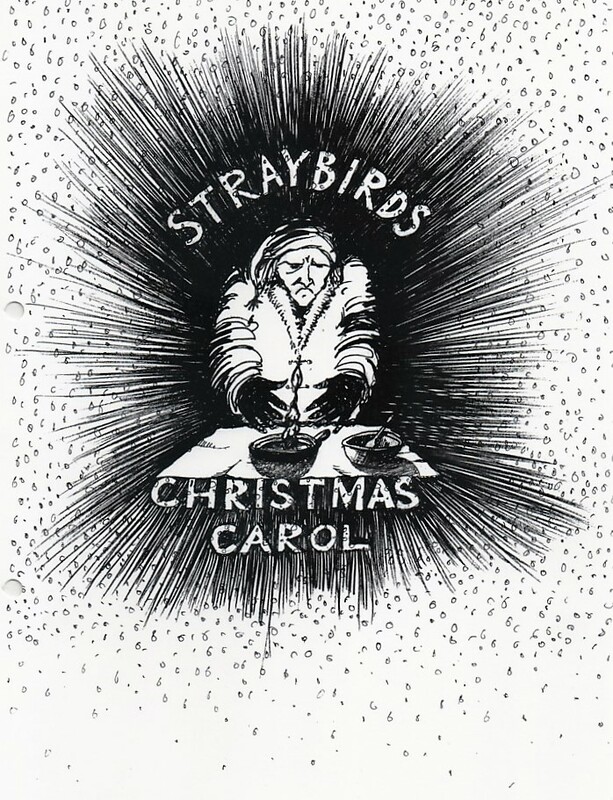 Harrogate ladies singing collective, Straybirds, are delighted to be singing and acting in a realisation of the famous story “A Christmas Carol’ written and directed by David Griffiths and conducted by Neil Balfour. The first of two performances is at 7pm on Saturday 12th December at The Quaker Meeting Hall in Rawdon, Leeds, as part of the Amnesty Concert Series. Tickets are not required for this concert, just arrive on the night and donations to Amnesty are welcomed at the door. This beautiful venue combined with the much loved heart-warming classic story promises to be a stunning evening of festive music and acting. The second performance is on Sunday 13th December at Willow Tree Community Primary School in Harrogate. Please note this event is tickets only. 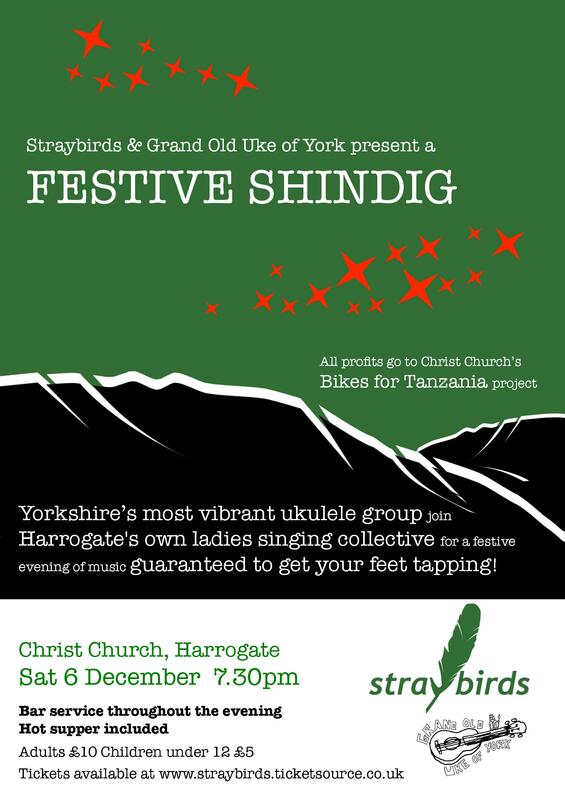 Harrogate ladies singing collective, Straybirds, proudly present ‘Spring Sing’ – a captivating performance of the newest additions to their eclectic musical portfolio. Led by talented Musical Director, pianist, vocalist and conductor, Neil Balfour, Straybirds add a wow-factor twist to your favourite songs. If the frost was trying to settle around Harrogate’s Church Square on Saturday night then it must have given up, as the usually quiet Stray resonated to heart-warming vocal harmonies, quirky ukulele strumming and the appreciative foot-tapping of a thoroughly entertained audience. When 180 bicycles rode through the streets of Yorkshire, they changed the face of the region forever. So it stands to reason that with just 166 bicycles, we can do the same for Tanzania. These bikes won’t be used for a cycling race. Instead, the Bikes for Tanzania appeal will provide bikes to the Diocese of Kagera and rural pastors in the region.